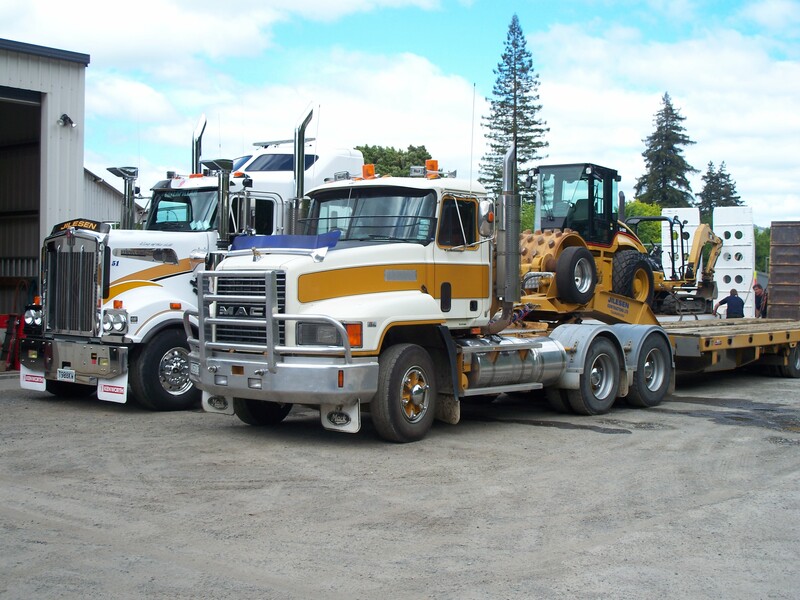 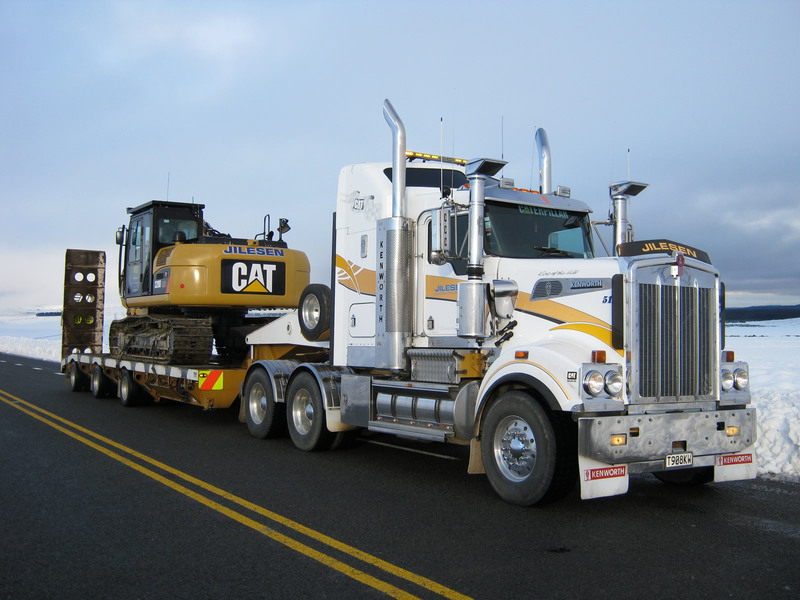 The transport arm of Jilesen Contractors complements both the core business of Jilesen Contractors Ltd (Earthmoving) and that of King Country Quarries. 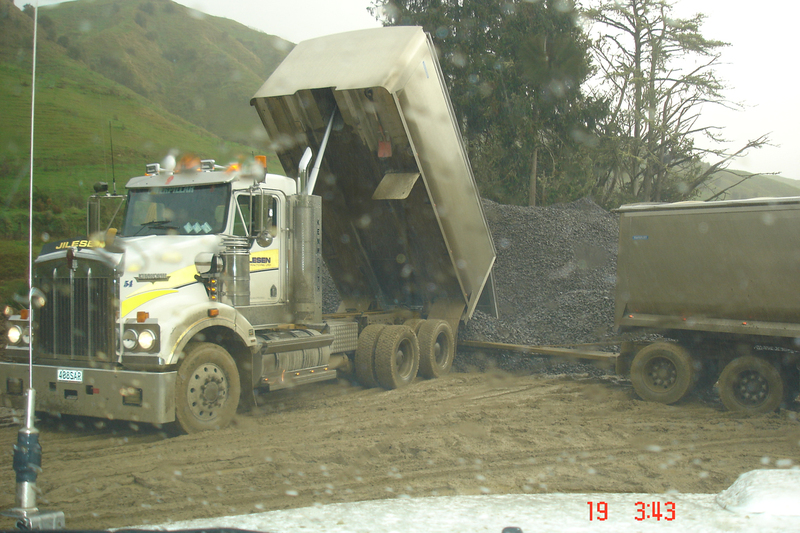 Working on roading construction site carting fill or material around the construction site. 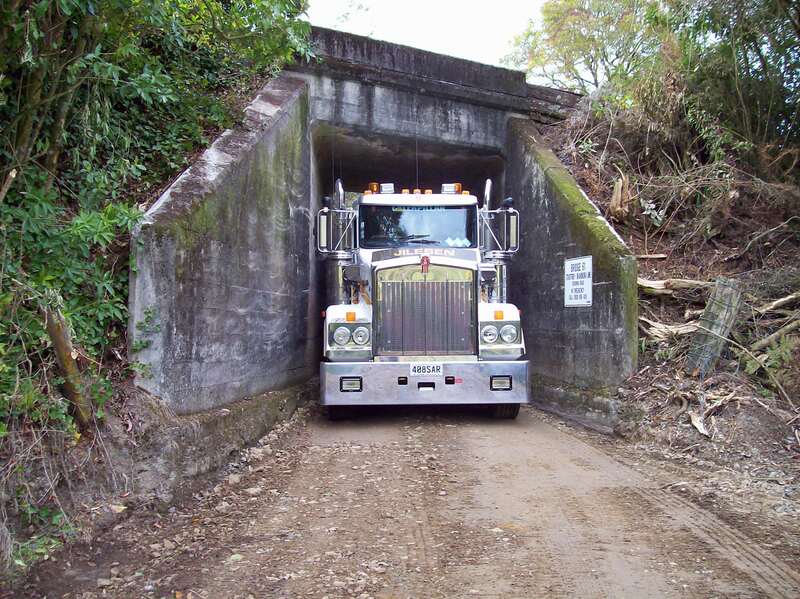 Some of the fill may be used again in the construction of the roads and often the fill needs to be removed and stockpiled somewhere close by. 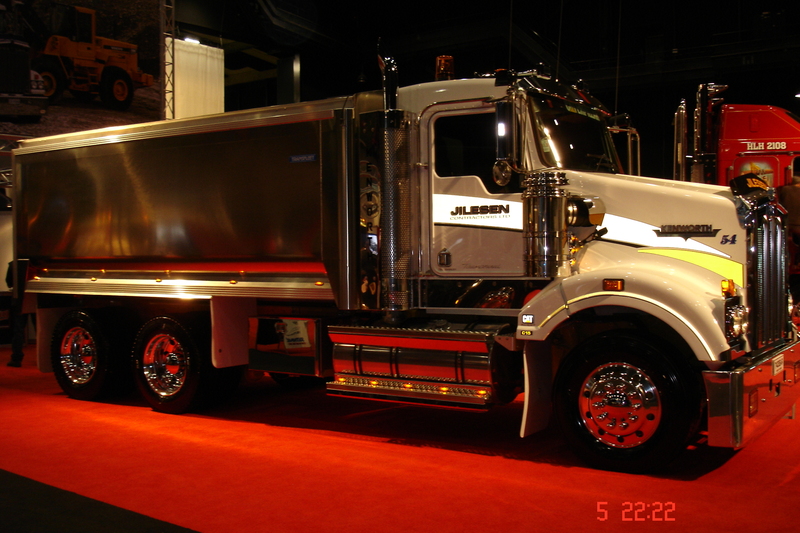 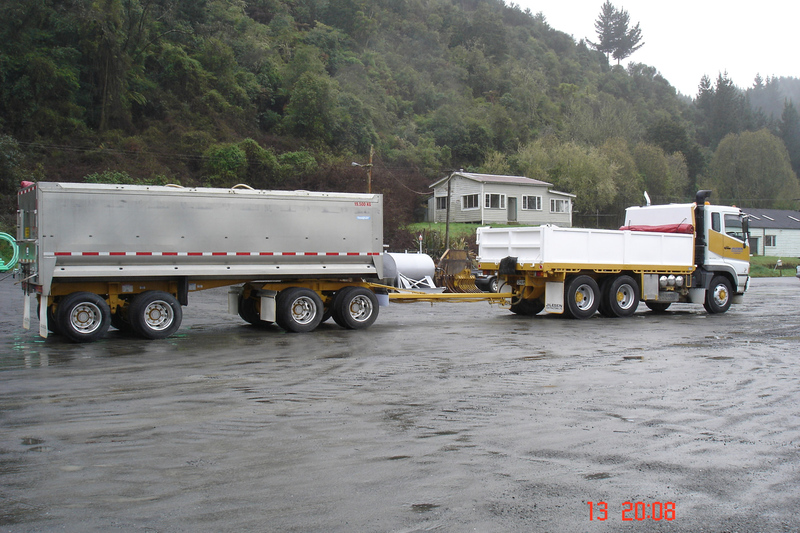 Our Trucks are also used on roading jobs as a water truck keeping the dust down or water is used in the process of binding and compaction of metal aggregate. 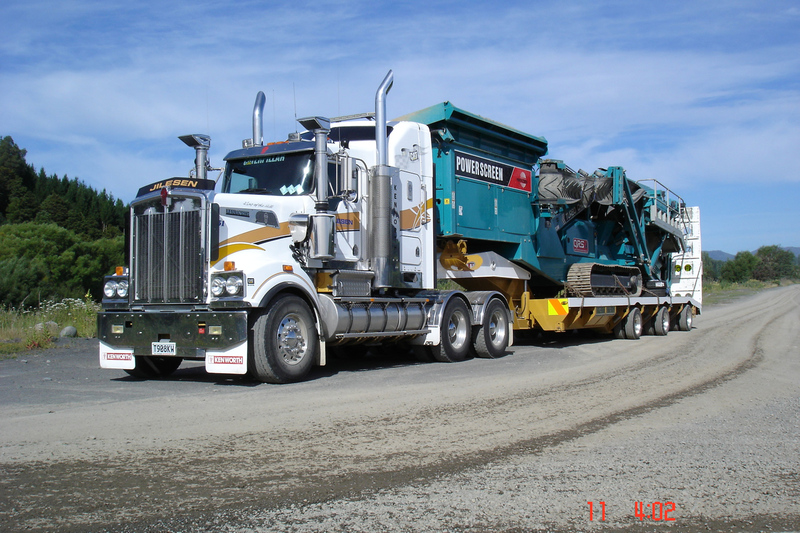 We also cart aggregate from the quarry to the construction site. 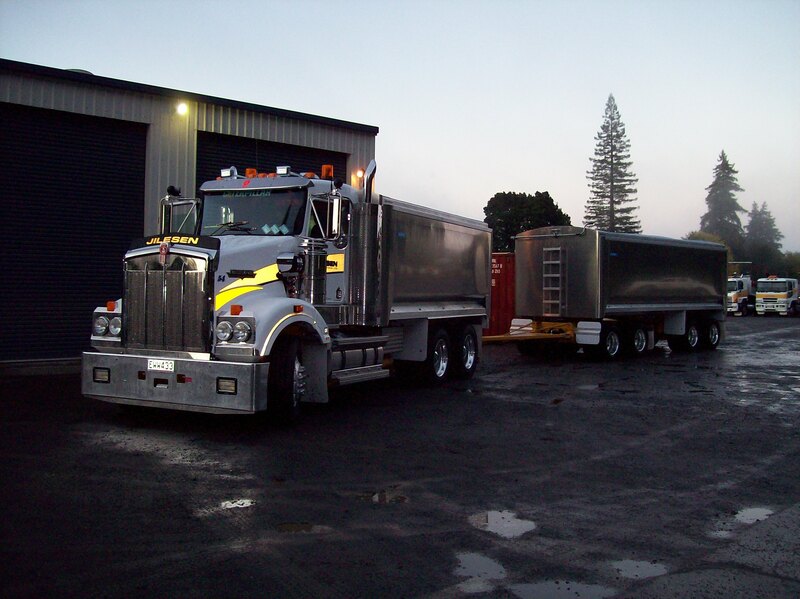 On farms our trucks are used for carting fill to and from earthmoving projects, and in cartage of metal used for spreading on roads and tracks. 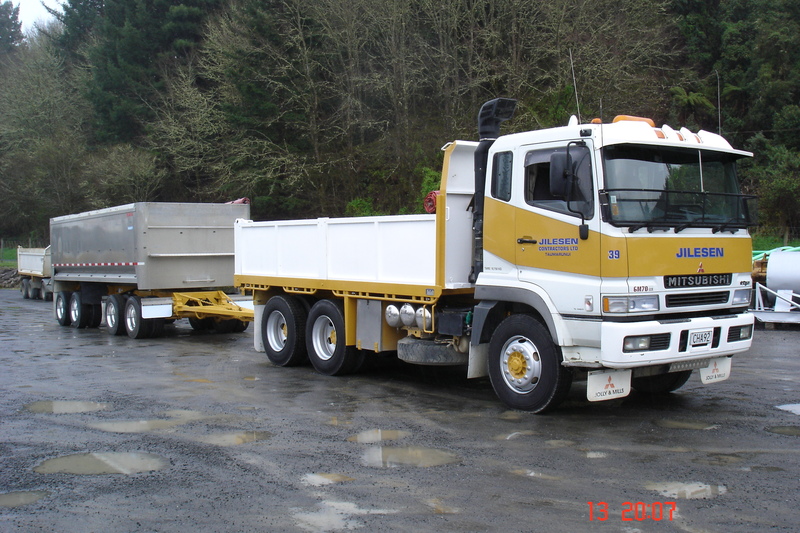 Our trucks are involved in river protection projects, carting fill or unsuitable fill material, from large boulders for erosion protection and clearing the water channel taking of raw aggregate materials to the quarry for processing. 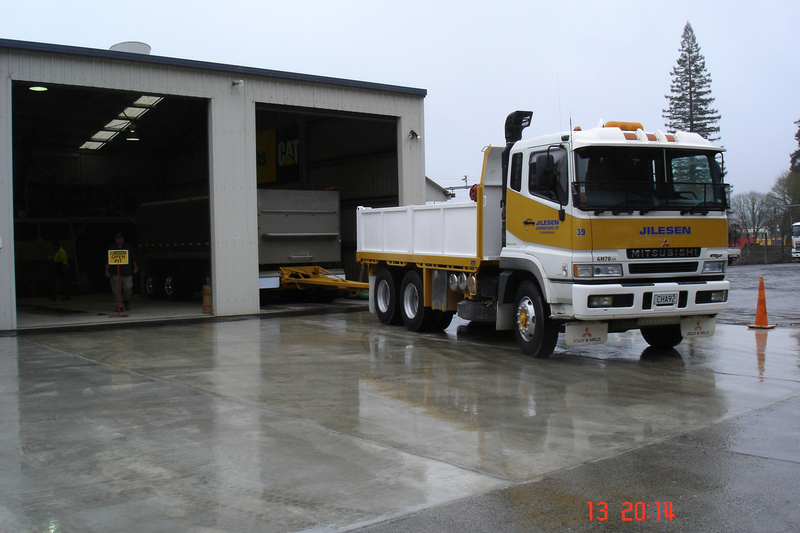 We do a lot of general delivery work of metal and landscaping products to Landscape yards from Taumarunui to North of Auckland, to Hawkes Bay, Manawatu, Whanganui and New Plymouth any many other stops in-between.